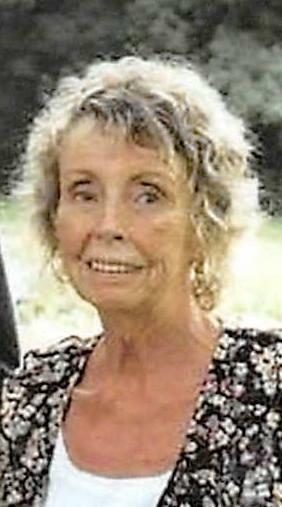 Tonni Levada Chapman, 75, of Conesville passed away surrounded by family on Saturday, August 25, 2018 at Lafayette Pointe Nursing and Rehabilitation. She was born in West Virginia on August 21, 1943 to the late Thelma Moored. Tonni loved to cook, bake, and make flower arrangements. She is survived by her three daughters, Christy Johnson of Coshocton, Kim Riggle of Coshocton, and Jamie Roll of New Philadelphia; grandchildren Shelby (Cory) Smith and Jeremy Riggle; and great grandchildren Jacey Riggle and Sawyer Smith. Along with her mother she is preceded in death by her husband Ray E. Chapman, whom passed away May 18, 2003 and granddaughter Kara Riggle, whom passed away August 28, 2009. A memorial service will be held at Coshocton Baptist Church, 1631 Denman Ave., Coshocton, Ohio 43812 on Thursday, August 30, 2018 at 6:00pm with Pastor Bill Jones officiating. Memorial contributions can be directed towards Interim Hospice, 499 South 2nd Street, Coshocton, Ohio 43812.